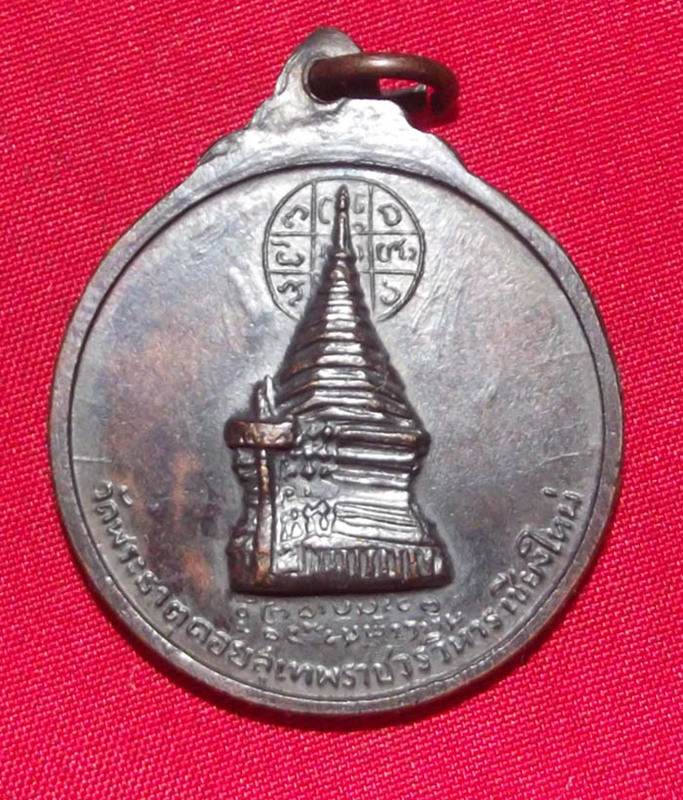 Rian Glom Pra Putta Sihingk 2515 BE – Wat Pratat Doi Sutep Racha Wora Wiharn – This Classic Thai Buddha Coin Amulet empowered in an Important and Officially Documented Putta Pisek ceremony at Wat Doi Sutep, with the Great Honorable Presence of the Great Arahant Luang Por Kasem Khemago, to assist in the Empowerment. 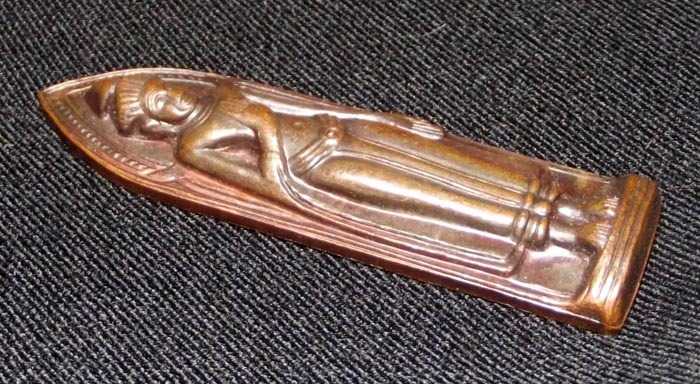 Luang Por Guay’s Looksit are known to avidly seek out this edition of amulets, because of the presence of LP Guay in the Putta Pisek Ceremony. A recently large increas in the amount of people seeking out amulets from Luang Por Guay has resulted in all amulets of this edition becoming much scarcer than ever before. 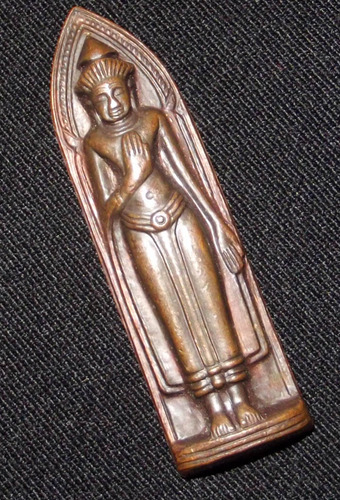 Luang Por Guay amulets are now becoming ever more difficult to find. The presence of Luang Por Kasem is in itself another factor which makes this amulet a highly faith instilling Buddhist Artifact. And the Sacred Power of Luang Por Kasem’s Blessings is something that goes Unquestioned. 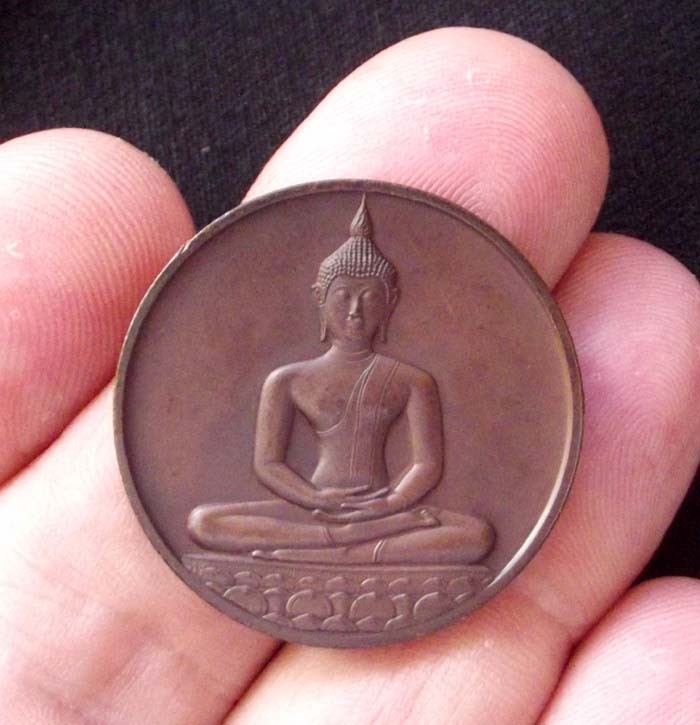 In addition, the Blessings of Luang Phu To of Wat Pradoo Chimplee, and Luang Por Hwaen being bestowed upon this Forever Classic Buddha Coin Amulet finish a list of some of the most faith Instilling Guru masters Thailand has ever seen. 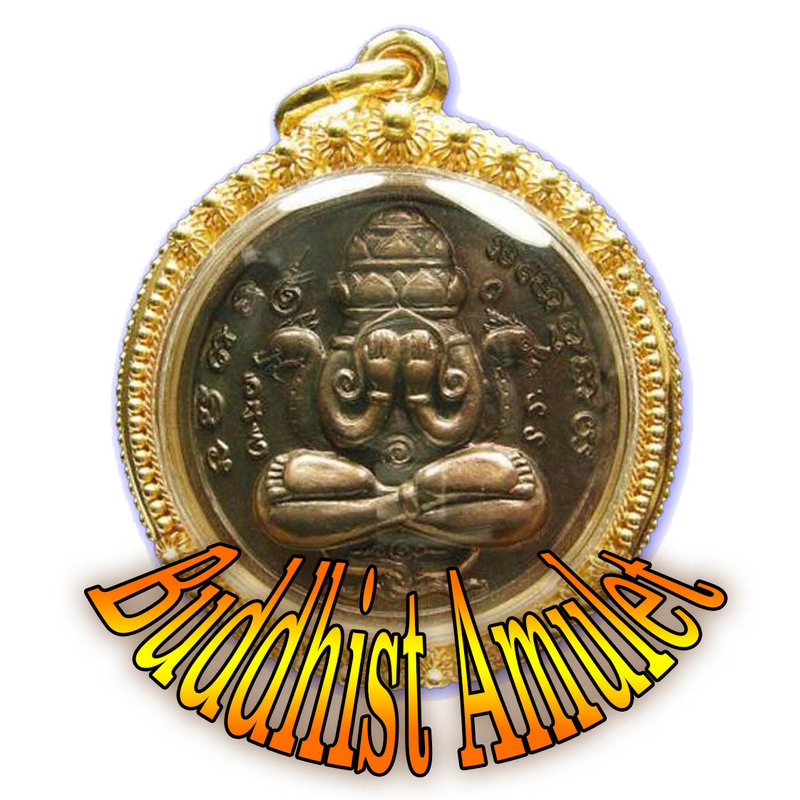 A true Antique sacred Buddhist Buddha Coin amulet with an Impressive History and Empowerment Ceremony, of which modern day amulets can remain Envious. 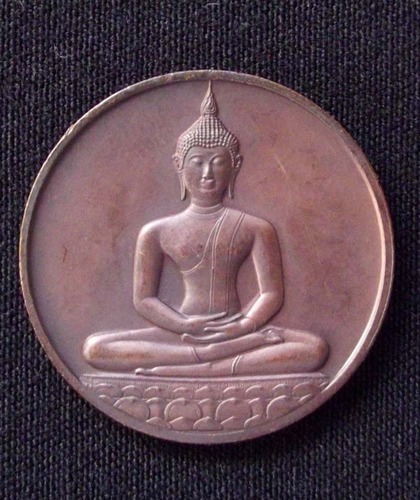 Pra Kring Chiang Saen, Pra Ruang Rang Pern, Rian Pra Jao Saedtangka Muni Buddha Coin (Wat Chiang Man), Rian Luang Por Tan Jai Buddha Coin Amulet, Rian Kroo Ba Sri Wichai Monk Coin Amulet, Rian Jao Kun Pra Racha Sit Ajarn Monk Coin Amulet, and the Rian Jao Kun Pra Apay Sarata Monk Coin Amulet. All of these Amulets are now Rare Collectibles, Extremely Valued by Devotees of the Northern Lanna Buddhist Traditions. The word ‘Lai Seu Thai’ refers to Por Khun Ramkamhaeng’s Invention of the first ever Thai Alphabet in 1205 BE (1826 AD). This Famous Edition was Created to celebrate the 700th Anniversary of Por Khun Ramkamhaeng’s invention of the Thai Written language, before which, Khom was used. The Putta Pisek Blessing Ceremony was held at wat Pra Kaew (Temple of the Emerald Buddha), and was a Very Large and Important Ceremony, with the Great Arahant, Luang Por Kasem present to perform his Empowerments and bestow his Blessings. The front face features a Buddha in Meditation sitting on a Lotus. The rear face has the Royal Monogram ‘Bor Por Ror’ embossed. 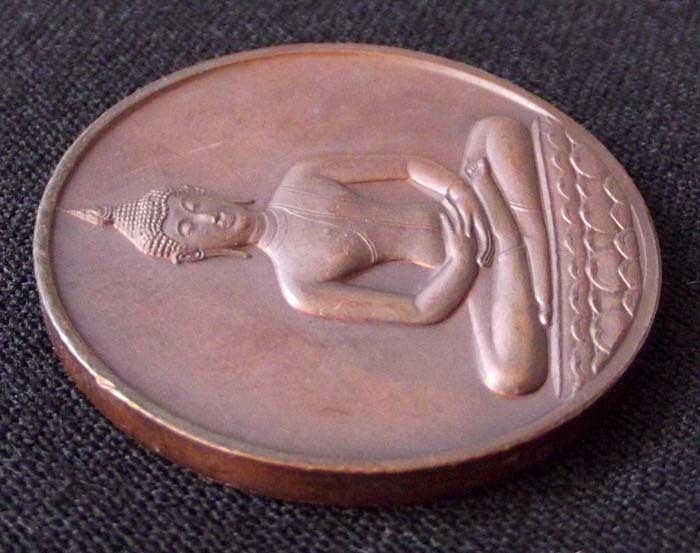 Made from ‘Nuea Tong Daeng’ (Sacred Copper Artifacts smelted together) – The Amulets were Comissioned and Issued by the Royal Thai Mint. 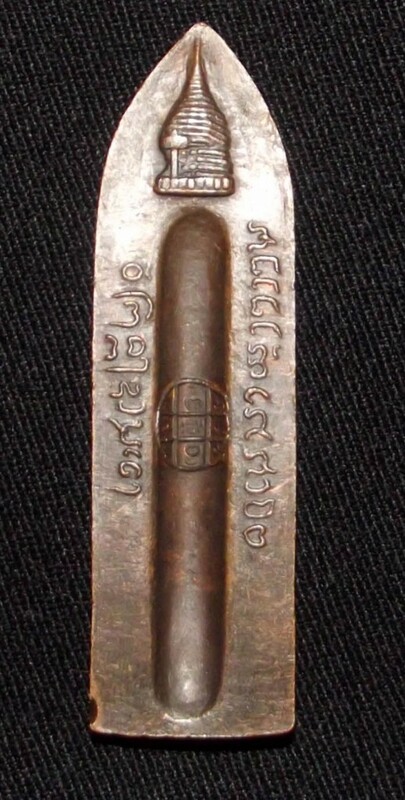 Por Khun Ramkamhaeng’s Invention of the Written Thai Language was recorded on a ‘Sila jareuk’ (Stone Inscription), which was found in 2376 BE by King Rama 5, and it records that the Thai Language was Created and Perfected in the Sukhothai Era. Pra Ruang Rang Pern Wat Doi Sutep 2515 BE – empowered in an Important and Officially Documented Putta Pisek ceremony at Wat Doi Sutep, with the Great Honorable Presence of the Great Arahant Luang Por Kasem Khemago, to assist in the Empowerment. This is the ‘Pim Prataat Noon’ (Raised relic Stupa), which is notable by the raised embossed Chedi Stupa on the rear face, there was also another version with an indented Chedi Stupa, known as ‘Pim Prataat Jom’. Blessed in Puttapisek by some of the Era’s Greatest Practitioners, including Luang Phu To (Wat Pradoo Chimplee), the Great Arahant Luang Por Kasem Khemago (Sussaan Trailaks in Lampang), Ajarn Nam Gaew Jantr, LP Hwaen (Sujino), and Luang Por Guay of Wat Kositaram. 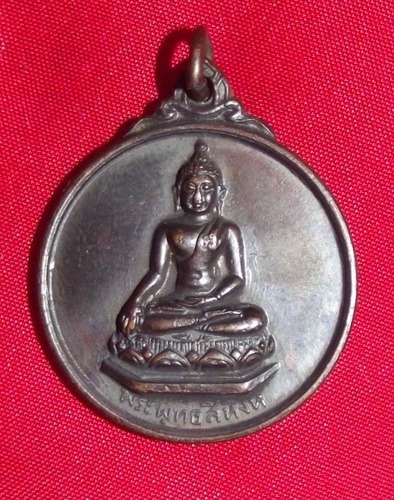 The Devotees of Luang Por Guay revere and Seek this amulet extremely because of his Personal Involvement in the empowerment ceremony, and this in itself makes the amulet an ever rarer to find amulet. 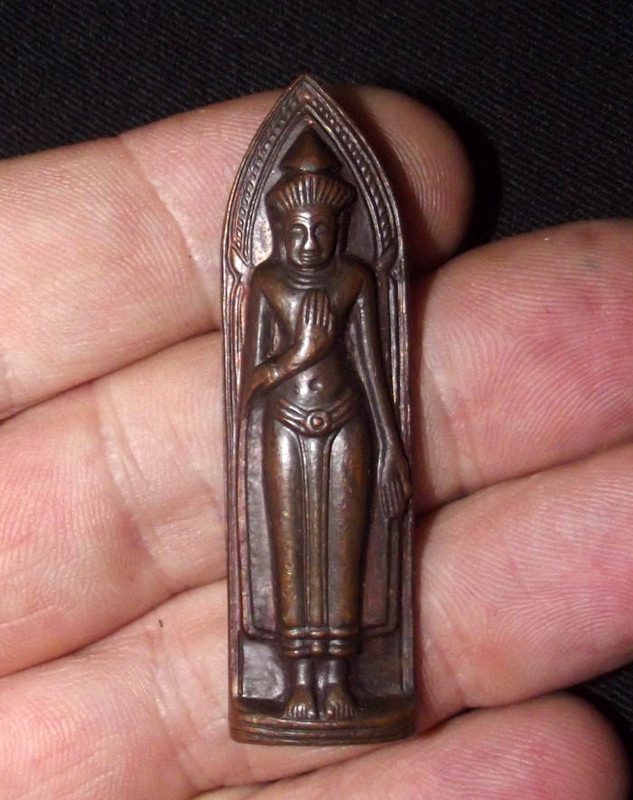 Luang Por Guay amulets are anyway now becoming so rare and ever increasing in price, that any editions which he was involved with are becoming highly sought after. The presence of Luang Por Kasem is in itself another factor which makes this amulet a highly faith instilling Buddhist Artifact, in addition, the Powerful Magic of Luang Phu To of Wat Pradoo Chimplee being bestowed upon this All Time Eternal Classic Buddhist Amulet, makes it Undoubtably a Best Choice for any and every Buddhist. 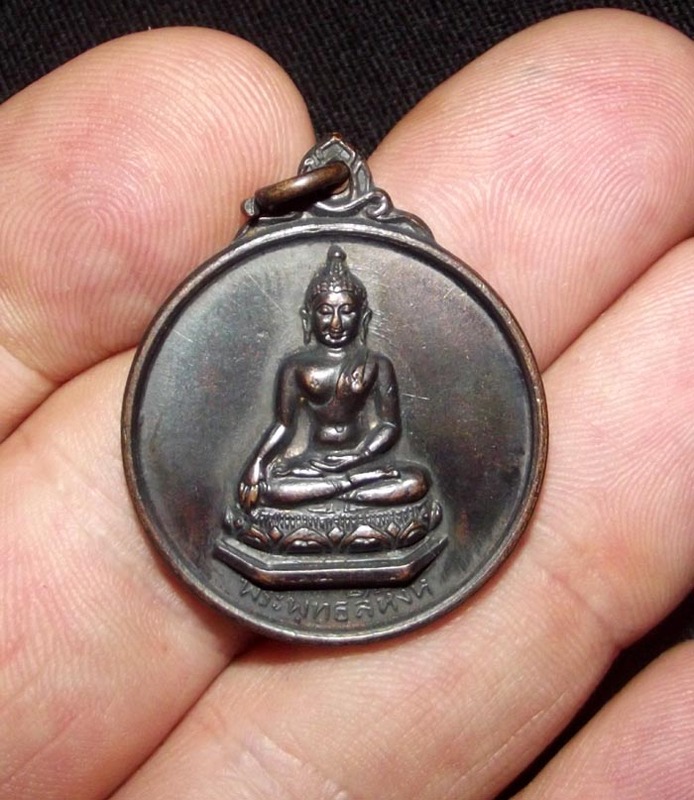 This Fine Example of this Classic and Ultra Collectible Amulet from Wat Doi Sutep in Chiang Mai is in Absolute Pristine Condition. The surface sheen of the amulet are of a glowing reddish burnt copper tone, which is the preferred tone when judging in competitions, valued more highly than those with a black surface sheen. The rear face shows the bulging protuding Chedi Stupa, which makes this a preferred Pim of the ‘Chedi Noon’ type. 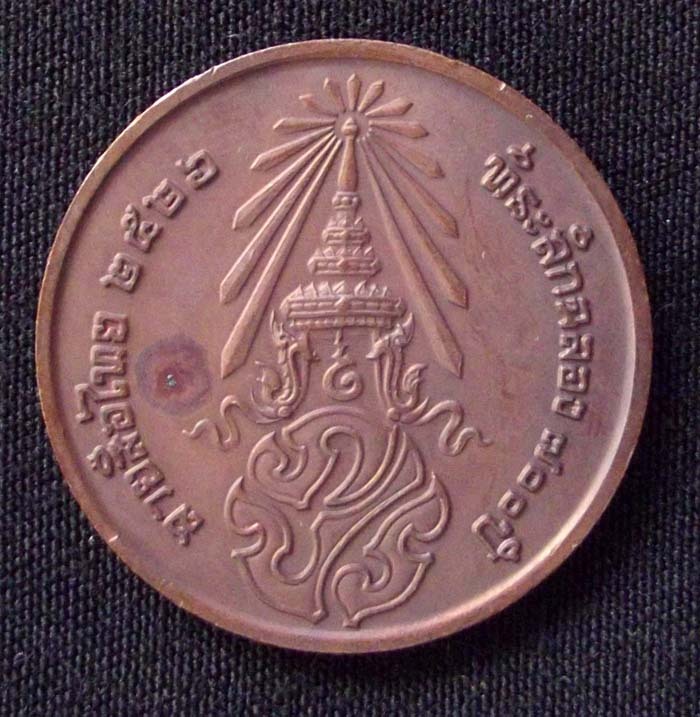 Apart from the Pra Ruang Rang Pern,there were many other amulets blessed in this very same ceremony of importance, including the Pra Kring Chiang Saen, Rian Pra Putta Sihingk Buddha Coin, Rian Pra Jao Saedtangka Muni Buddha Coin (Wat Chiang Man), Rian Luang Por Tan Jai Buddha Coin Amulet, Rian Kroo Ba Sri Vichai Monk Coin Amulet, Rian Jao Kun Pra Racha Sit Ajarn Monk Coin Amulet, and the Rian Jao Kun Pra Apay Sarata Monk Coin Amulet. All of these Amulets are now Rare Collectibles, Extremely Valued by Devotees of the Northern Lanna Buddhist Traditions.